The tarte Tatin is an upside-down pastry in which the fruit are caramelized in butter and sugar before the tart is baked. Wash and clean all ingredients. Coat a 10-inch oven-proof skillet with butter. Sprinkle sugar evenly over the top of the butter. Place apple quarters, rounded sides down, on top of the butter and sugar in a circular pattern. 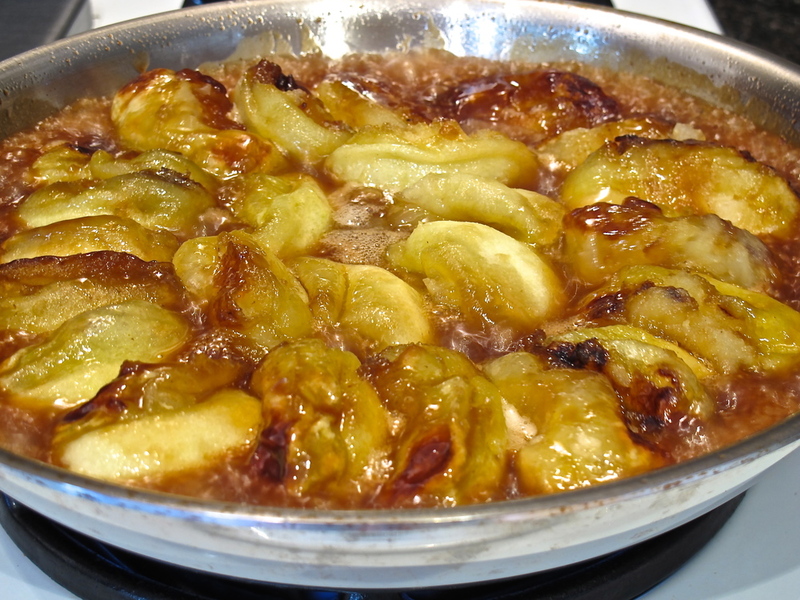 Place skillet over medium-high heat and cook until butter melts and sugar dissolves and begins to caramelize. 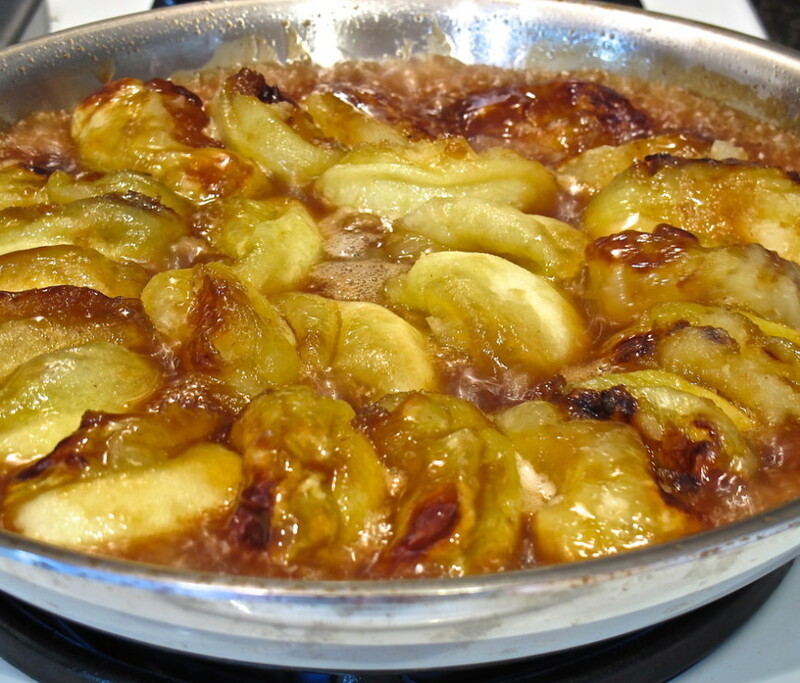 Continue to cook until apples soften and caramel begins to brown, 10 to 12 minutes. Sprinkle work surface with flour and roll pie dough into an 11-inch circle. Pinch edge to create a ruffle around crust. Place crust on top of apples and tuck in edges around apples. Bake in the preheated oven until crust is golden brown, about 20 minutes. Allow to cool for 5 minutes. Place a plate over the top of the pan and carefully invert to release tarte from the pan. Scrape any remaining apples stuck to the pan back on top of crust. Enjoy it with whip cream.